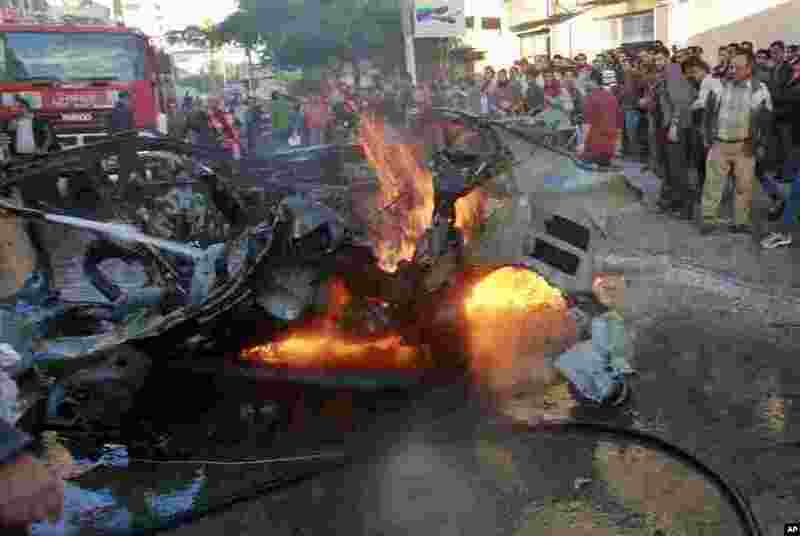 An Israeli air strike in Gaza has killed the military chief of the Palestinian Hamas movement. 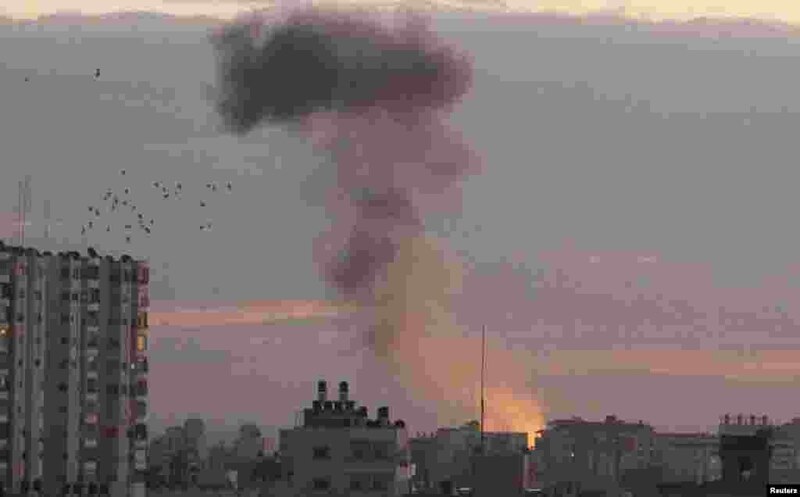 1 Smoke rises following Israeli air strikes in Gaza City, November 14, 2012. 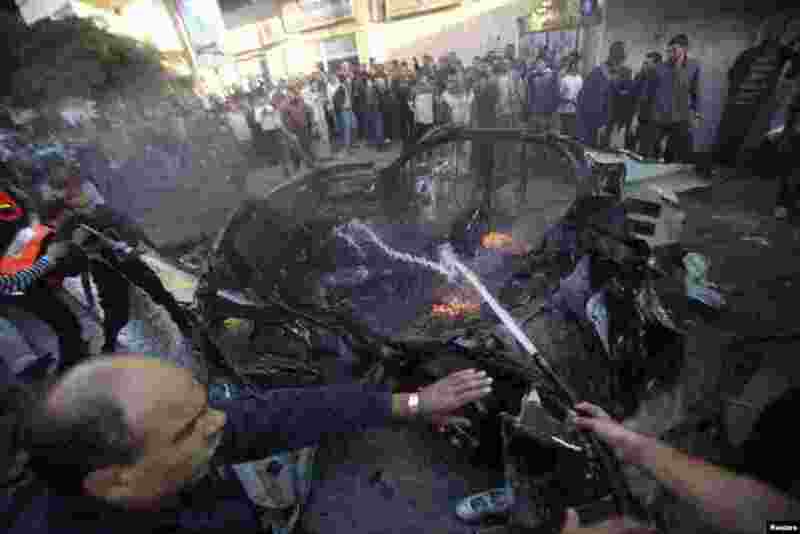 2 People look at a wreckage of the car in which Ahmed al-Jaabari was killed, Gaza City, November 14, 2012. 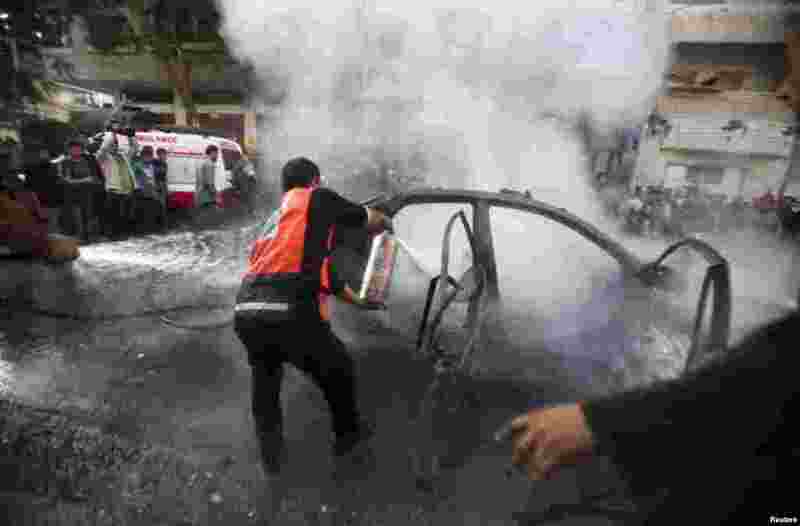 3 Palestinians extinguish a fire after an Israeli air strike on a car carrying Hamas military chief Ahmed al-Jaabari, Gaza City November 14, 2012. 4 Palestinians surround the car carrying Ahmed al-Jaabari that was hit by an Israeli air strike, Gaza City, November 14, 2012.